The self-driving Vizzion has a long body and roomy interior. FRANKFURT -- Volkswagen's I.D. 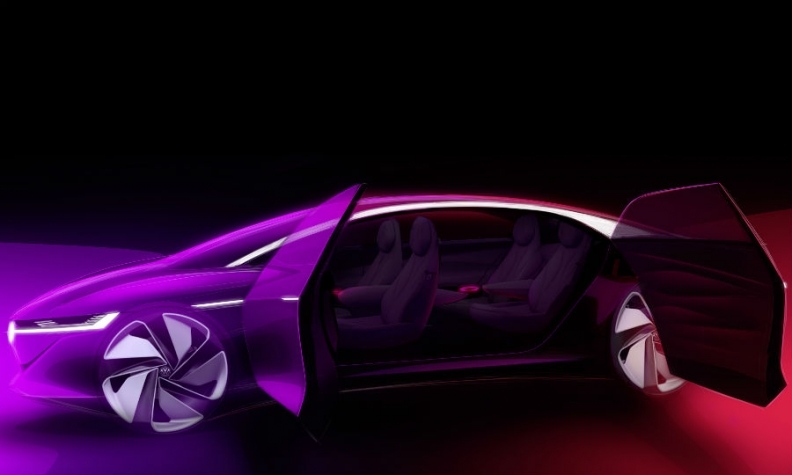 Vizzion concept previews a possible flagship electric car that would compete directly with the Tesla Model S. The sedan has no steering wheel or visible dashboard instruments and also hints at what a fully autonomous VW car could look like. In a statement VW said the Vizzion demonstrates the direction the brand is taking in the technology and design of its future electric models. At 5110 mm (201 inches) long, the concept is longer than any Tesla currently on the market and nearly the length of Audi’s A8 flagship. A VW spokeswoman said that the concept will be used to test potential customer acceptance for a long electric vehicle in key sedan markets such as the U.S. and China. Initially the VW brand had considered an electric-only successor to the Phaeton, but stopped the plans to focus on developing a family of battery-powered cars based on the MEB electric platform that the brand is developing for VW Group. The Vizzion will have its public debut at the Geneva auto show on March 6. VW said its engineers have systematically exploited the possibilities of autonomous driving in a way that will help to build future vehicles that are environmentally clean, safe and comfortable. Self-driving technology also opens up the use of a car for customer groups who cannot drive today, such as older people, it said. The Vizzion has four seats are centered around large central armrests. The Vizzion is driven by a "digital chauffeur" that takes over operation aided by multiple assistance systems. It can adapt to individual preferences through a "virtual host" which communicates with the passengers via speech and gesture commands. 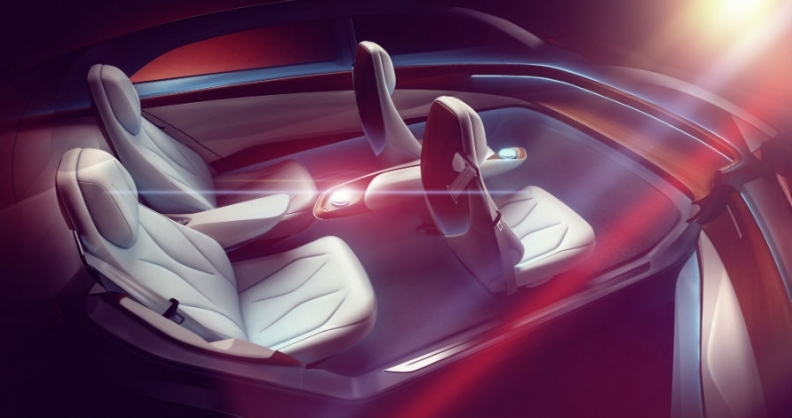 The concept "drives, steers and navigates autonomously in traffic, enabling passengers to freely structure their time during the drive," VW said. Designers crafted the interior to take full advantage of the added roominess that comes with a fully autonomous self-driving vehicle. The sedan has a system output of 225 kilowatts (equivalent to 302 hp) and and its 111 kWh lithium-ion batteries enable a driving range of up to 665 km (413 miles) when braking regeneration is factored in. Top speed is 180 kph (112 mph). VW said the Vizzion demonstrates the "great potential" of its MEB architecture, which it said enables "long driving ranges and maximum space utilization at optimal costs." It's the fourth I.D. concept from VW brand. The others are the I.D. compact hatchback and I.D. Cross crossover, whose production versions will both go on sale in 2020, and the I.D. Buzz, due in 2022. VW brand has said it plans to introduce 20 full-electric models by 2025.